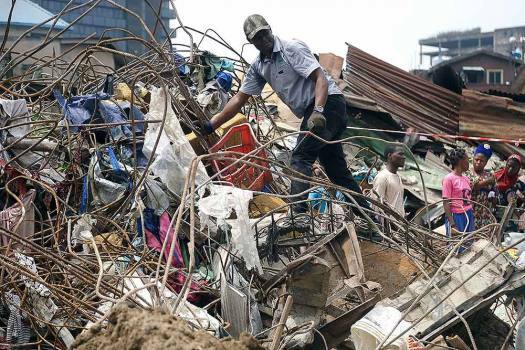 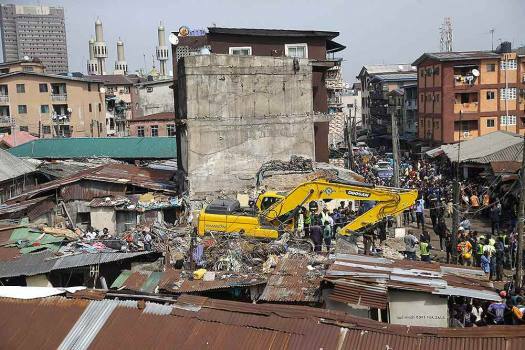 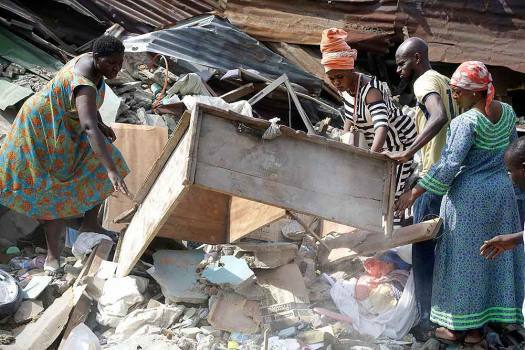 Government officials from Standard Organisation of Nigeria examine materials used in constructing the building that collapsed in Lagos, Nigeria. 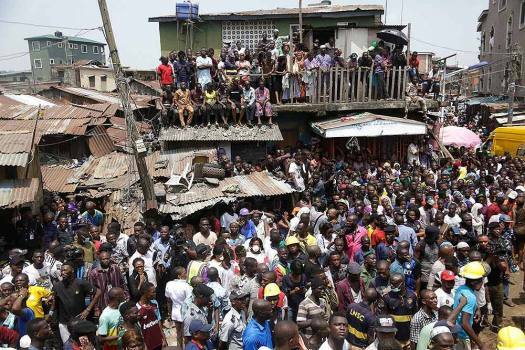 Local people attend the scene after a building collapsed in Lagos, Nigeria. 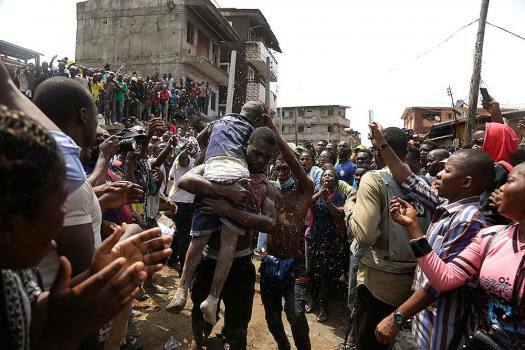 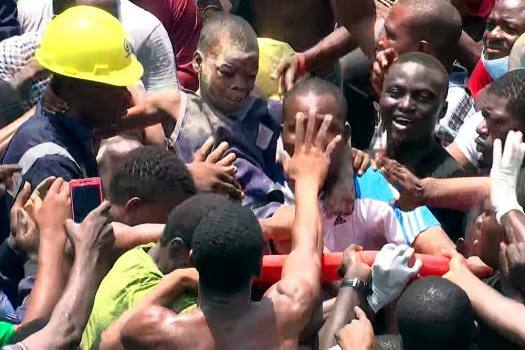 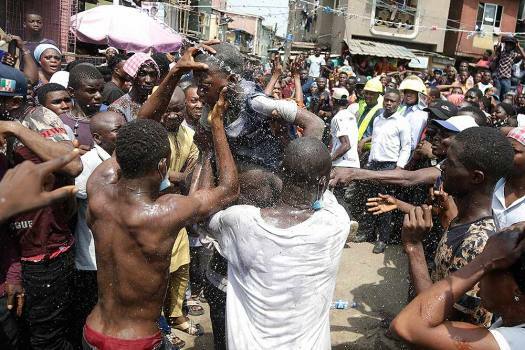 In this image taken from video, people help a child after he was rescued from the scene of a building collapse in Lagos, Nigeria. 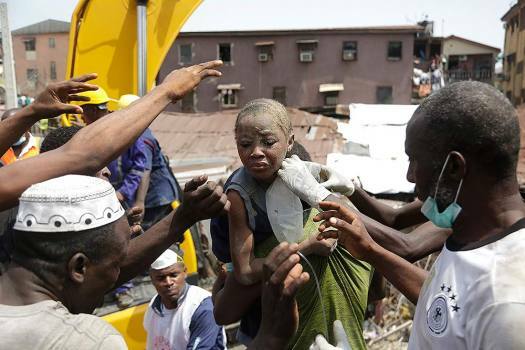 A child is recovered from the rubble of a collapsed building in Lagos, Nigeria. 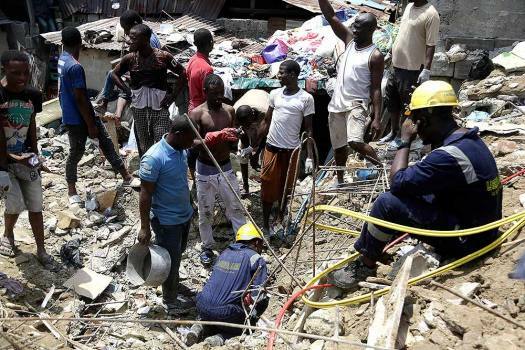 Emergency services attend the scene after a building collapsed in Lagos, Nigeria. 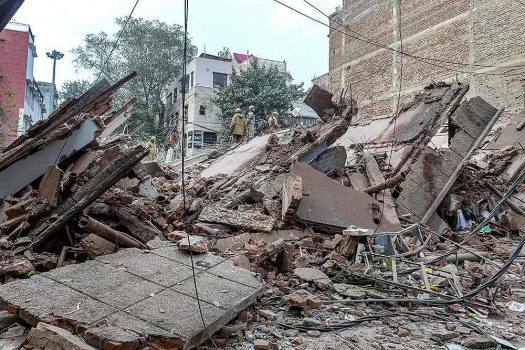 Fire brigade personnel carry out rescue and relief works after a four-storeyed commercial building collapsed at Padma Singh Road in Karol Bagh, New Delhi. 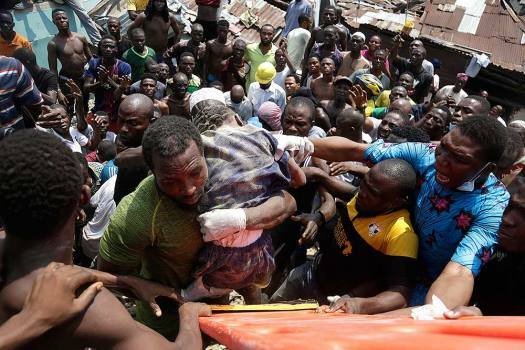 Of those rescued, at least 15 received severe injuries and were being treated at hospitals in the district. 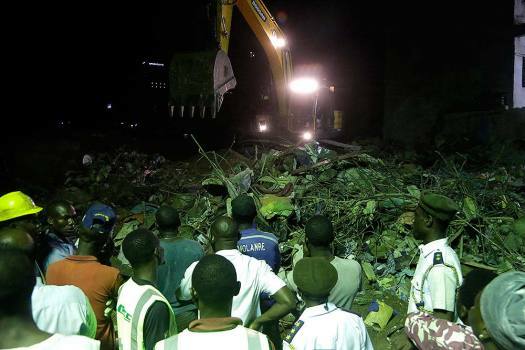 Search and rescue operation underway. 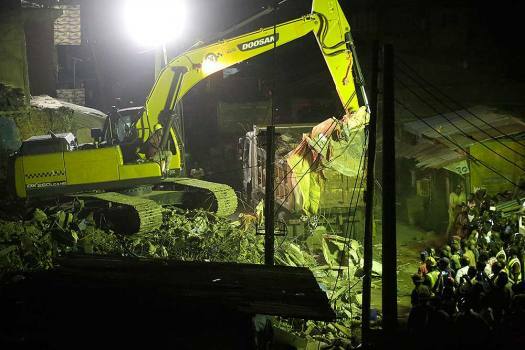 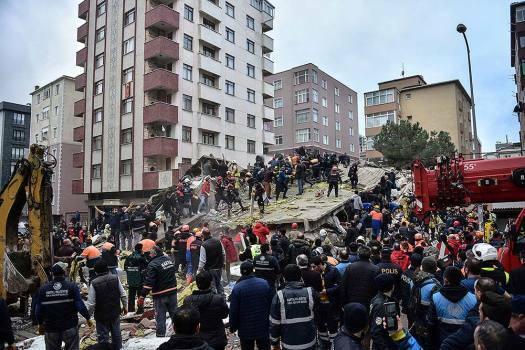 The building collapsed when the labourers were laying the roof the structure's fourth floor, officials said. 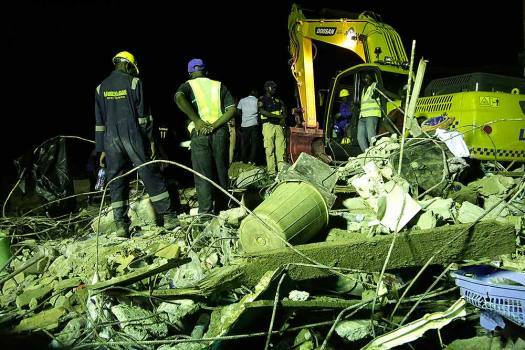 The incident occurred in the morning when a tractor-trolley carrying sand reportedly hit the temporary fixtures of the building. 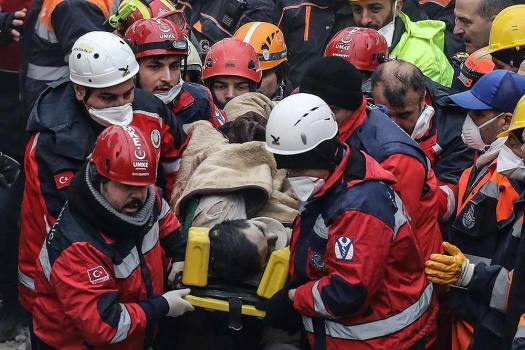 Rescue and search operation for injured is underway. 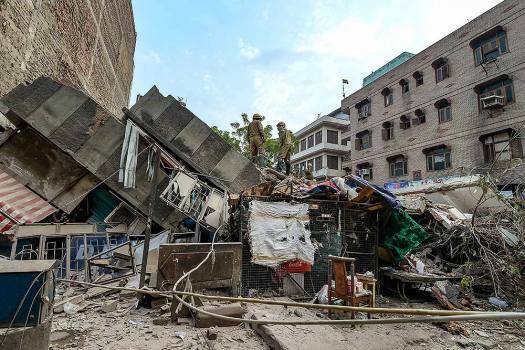 The building houses a total of 32 flats, according to Additional Chief Fire Officer Rajesh Bhatt. 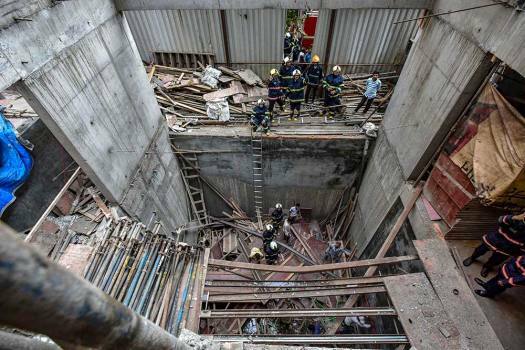 As per the elder son Vaibhav, due to the leakage of water, the roof of the house had become weak, hence collapsed. 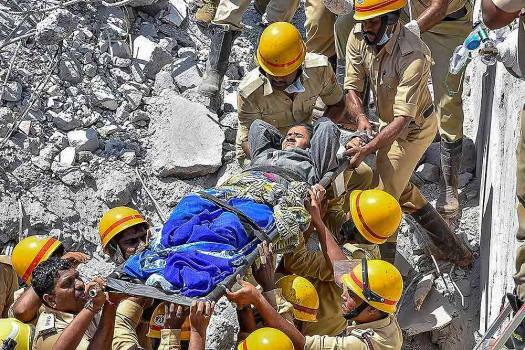 Several labourers are feared dead, and four have been injured. 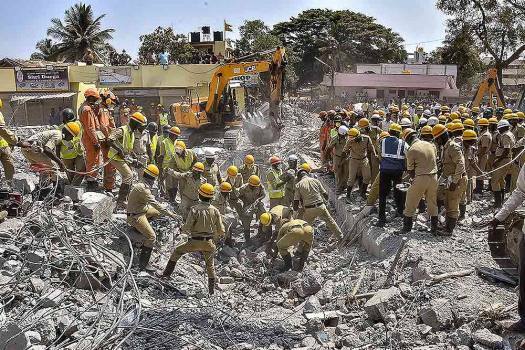 P.Ponniah, District Collector, said, "23 people have been rescued so far, rescue operations will continue."